A Colorado sheriff has stated that he opposes a proposed new gun control law so much that he is willing to go to jail rather than enforce it. Here’s a bit of background on the bill Reams is referring to. It is likely to become law this week. 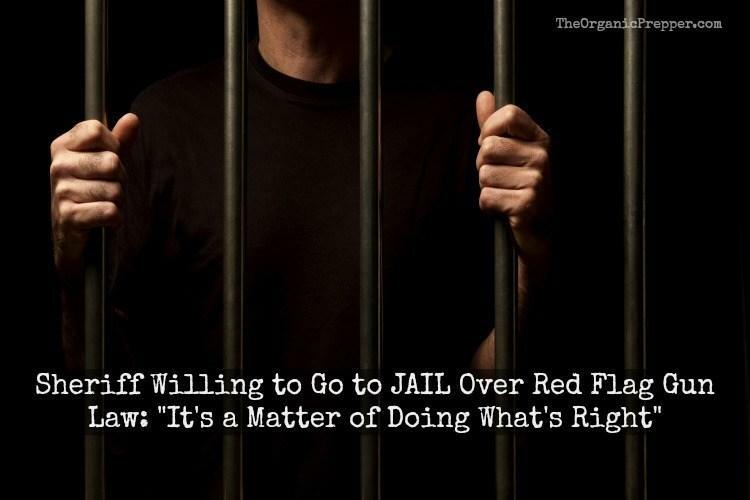 The law Reams says he will not enforce is a red flag gun confiscation law. House Bill 19-1177, also known as a red flag bill or the Extreme Risk Protection Orders bill, passed the Colorado Senate 18-17 on Thursday and is scheduled Monday for the House floor. With Democratic majorities in both chambers, state Republicans have too few votes to stop the bill. Sheriffs could find themselves locked inside of their own jails for refusing to enforce gun control laws. Failure to enforce a court order to seize a person’s guns could mean sheriffs being found in contempt. A judge could fine them indefinitely, or even send them to jail to force them to comply. Reams told CNN it’s a sacrifice he’d be forced to make. He isn’t the only sheriff to voice opposition to red flag laws. A growing number of states, counties, cities, and towns are declaring themselves “Second Amendment Sanctuaries” and are refusing to enforce gun-control laws that infringe on the Constitutional right to keep and bear arms. “The gun ban lobbies are getting more and more extreme and aggressive,” he said. The bill allows a judge to order a person’s guns to be seized before the person has a chance to appear in court. The bill does require a second hearing with the gun owner present to be held within 14 days, where the owner could make a case to keep the weapons — but if the owner is unsuccessful, a judge could order the guns seized for as long as a year. Kopel said it would be difficult to prevent a nightmare scenario in which someone misuses the law to take guns away from a person they intend to target violently. He makes a great point. Last October, Maryland’s red flag law went into effect. Less than a month later, the law claimed its first victim. Gary J. Willis was killed by police when they showed up at his home at 5 am to serve him with a court order requiring that he surrender his guns. 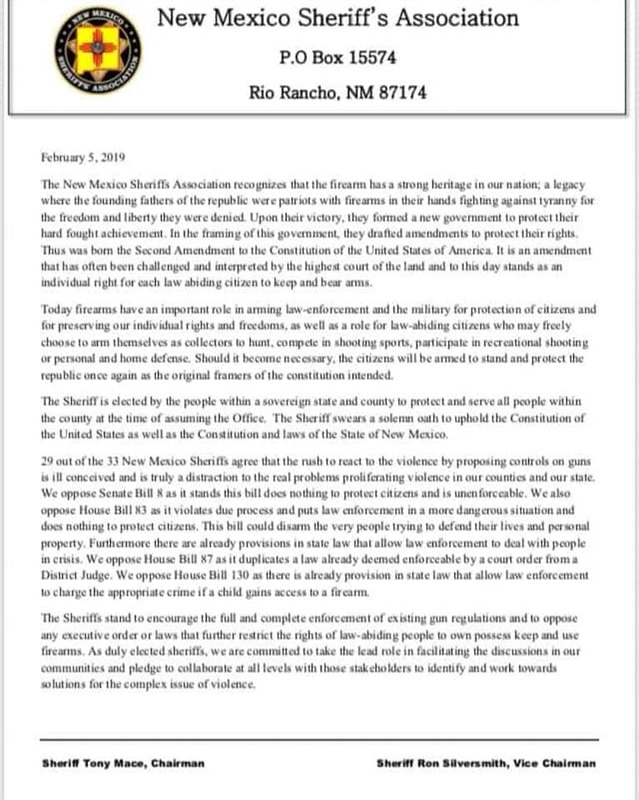 Reams is not the only sheriff who is publicly voiced his intent to not enforce unconstitutional gun control laws. And, earlier this year, some sheriffs in Washington state publicly vowed not to enforce new unconstitutional gun laws.